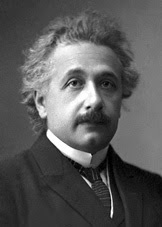 Albert Einstein was born in Ulm, Württemberg, Germany in 1879. The German-born theoretical physicist is regarded as the Father of modern physics for developing the general theory of relativity. During his lifetime, he won many awards and he’s also considered as the most influential physicist of the 20th century. Below are the best collections of Einstein famous quotes he quoted during his lifetime. When Einstein died on April 18, 1955 he left a piece of writing ending in an unfinished sentence. For questions or suggestions about Albert Einstein's quotes or would simply like to include another quote from Einstein, please feel free to contact us.